MANGO Event in Santa Monica! Friday, April 8th: 5-8pm! 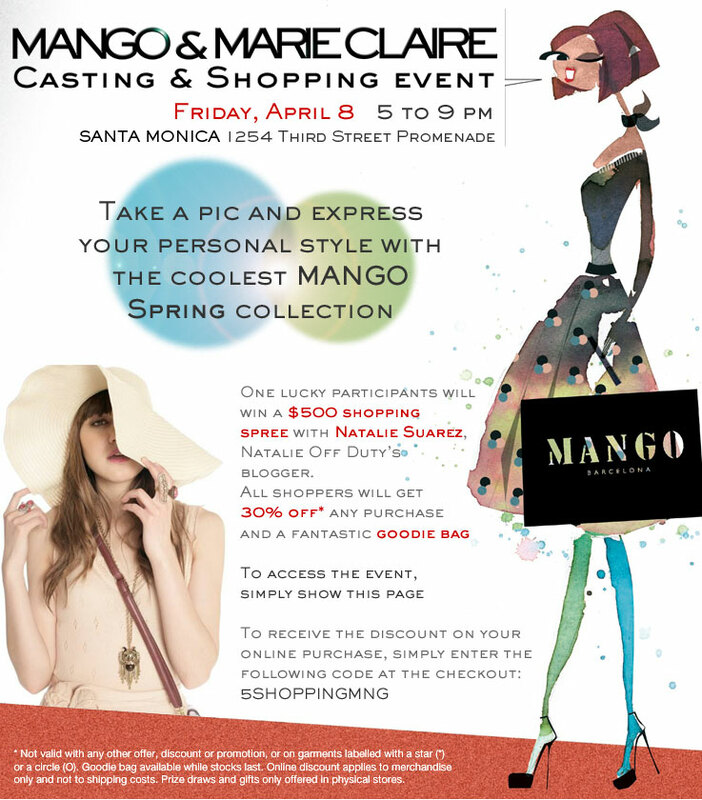 Meet me Friday, April 8th at the MANGO store in Santa Monica, CA on 3rd Street Promenade from 5pm-8pm! I am hosting this event, put together by MANGO and Marie Claire! I'm beyond excited! The event is open to the public, so please bring your friends and family! I will also be singing at the beginning of the event! It is going to be really fun. Music, Drinks, and Shopping. Everything in the store is 30% the entire day! I will also be giving away a $500 gift card to the best dressed person to attend, so feel free to show off your own personal style! Can't wait to take that special person shopping! I cannot wait to meet all my LA readers and fellow bloggers. See you there!! Don't forget to RSVP at mcevents@hearst.com!